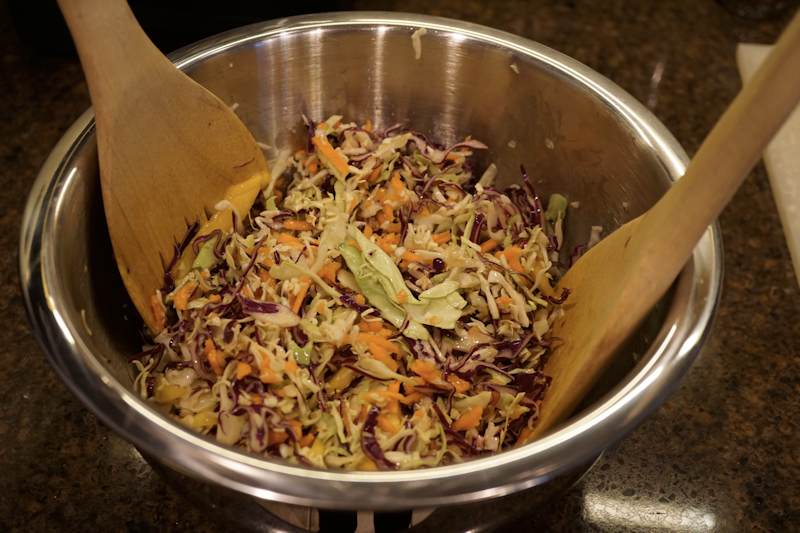 This delightful, oil-free dressing pairs well with shredded green and red cabbage, shredded carrots, and sliced mango, pear, or granny smith apples. It is a wonderful complement to top tacos (instead of lettuce), too. Blend all ingredients in a high-speed blender and chill for several hours before tossing into slaw.